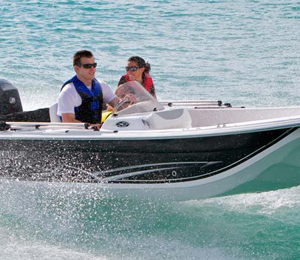 Choose from one of our many well-maintained, and advanced center console boats to rent from. We take pride in our boats, and want to give you the freedom and trust while you explore the open waters of Key West.Venture nearby islands and secluded beaches, and excavate the coral reef by having your own snorkeling tour. 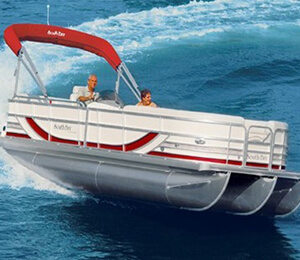 Choose a Pontoon Boat Rental for Half or Full Day! Snorkeling and Fishing Gear are Available for a Small Charge at the Marina. Limited Spaces Available! For reservations call (866) 545-1062. Key West is a famous vacation spot for fishermen from around the world to visit, to fish for some of the tastiest seafood. If you are looking to have a Hemingway experience, and rent a boat for your fishing adventure, then you’ve come to the right place. Buying a boat can be too expensive and time consuming to keep up with, so renting a boat is the perfect alternative. 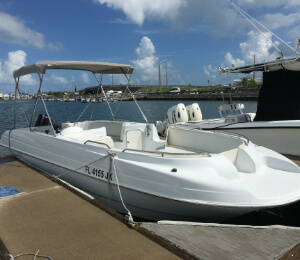 We recommend the 22-foot Angler Panga boat to take up to six people out for your fishing desires. This is the perfect activity for a group of friends on vacation, and we’ve even had bachelor parties rent this boat for a fishing excursion. This boat comes equipped with a Depth Finder, a GPS, cooler, and Bimini Top so you can stay cool. There is also a discount on multiple day rentals. Key West has some of the best shallow snorkeling locations in the United States, and one of the most unique ecosystems in the world. 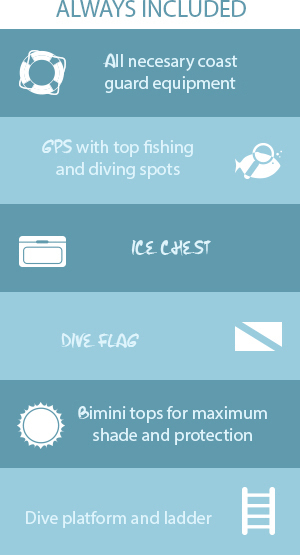 Everyone can enjoy a day out on the boat and snorkel some exciting locations that are not overpopulated with other snorkelers. Snorkel some of the local shipwrecks that have become a part of the coral reef which contribute to the local underwater landscapes, as well as history. Typically the best fit would be the 22-foot Parker, which holds up to 6 passengers. Also, you can use our boats to snorkel for lobster (only within Lobster Season of course, and be sure to book that way in advance). There is so much to see outside of Key West, and most of the things to see are only visible when getting to them by boat. 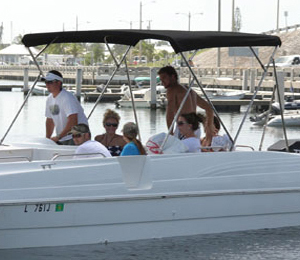 If you’re just looking to give you and your party a relaxing boat ride around the island in Key West, then we have the absolute perfect boat for you to rent. Try renting the 26’ Rendezvous rental to take up to 10 guests out and relax with comfortable, cushioned seating. Treat your party on an adventure to visit and soak up some rays on a sandbar, explore some of the other islands nearby and have a picnic, or check out other beaches, such as Boca Grande, or Snipes Point. If you're lucky, you’ll see dolphins frolic in the wake made by your boat! Need help booking your tour? Our professional and local staff is here to help. Contact one of our local representatives by calling (866) 545-1062 or click the live chat button to right.